I admit it. I love Nestle Drumstick ice cream cones. But ice cream novelties are expensive and don’t last very long. Here is a delicious “cheater” that is fun for kids to make, at around 1/3 of the cost. Not to mention, there are plenty of leftover ingredients for other applications. What’s even better is that you can use the ingredients you want. Nestle may have the corner on the chocolate market but Tillamook makes real ice cream. Before you begin – shake the topping very well (around one minute). 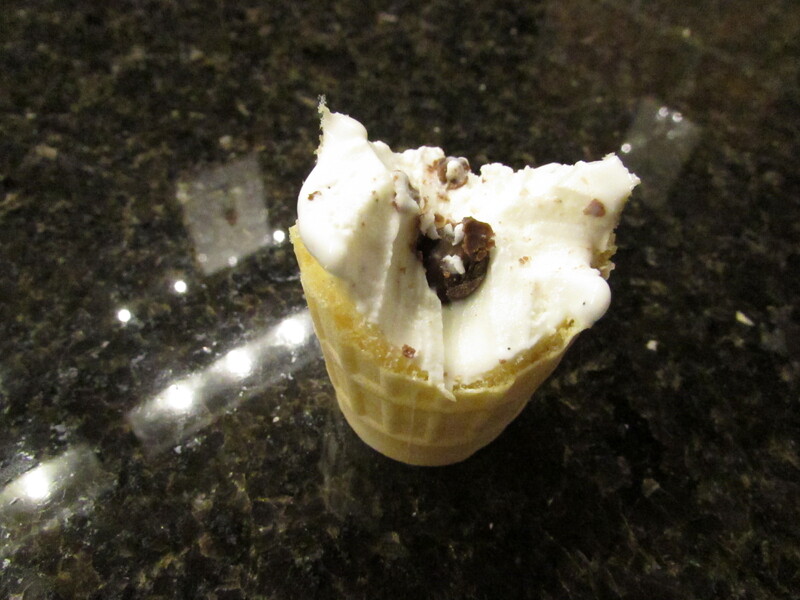 Fill ice cream cone(s) to desired height and place in freezer for around 15 minutes. 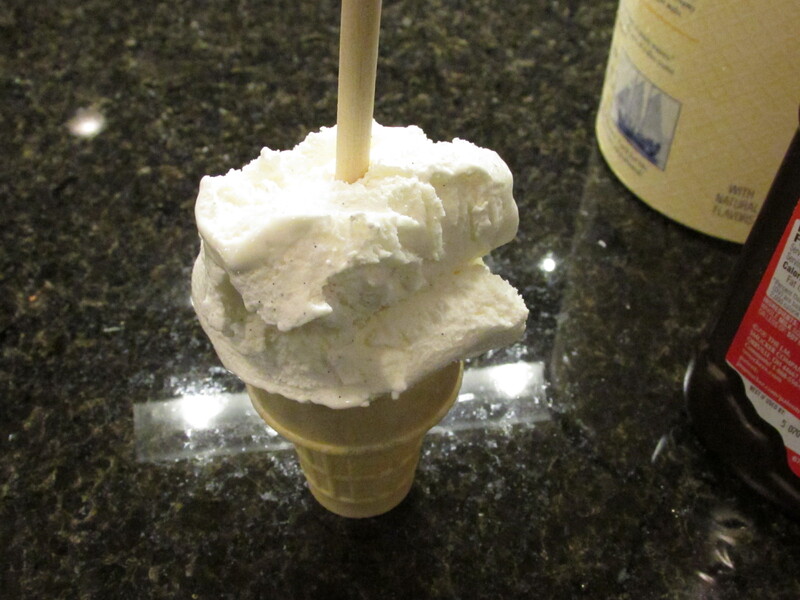 Remove from freezer and, using a dowel or chopstick, poke a hole down the center of the ice cream. Shake topping some more and carefully drizzle down the hole, filling hole to the top. 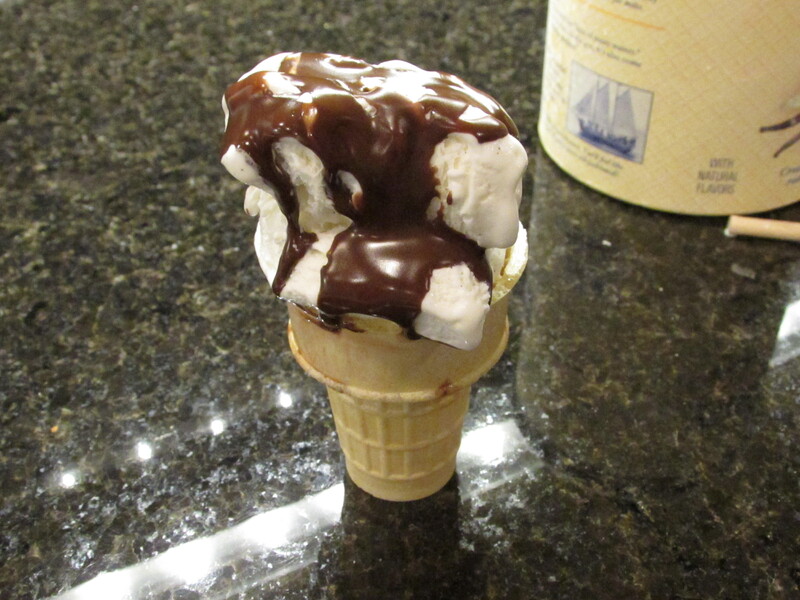 Working over a sink or plate to catch any drips, drizzle topping lightly and in layers over the top of the ice cream. If using nuts, top chocolate with nuts. 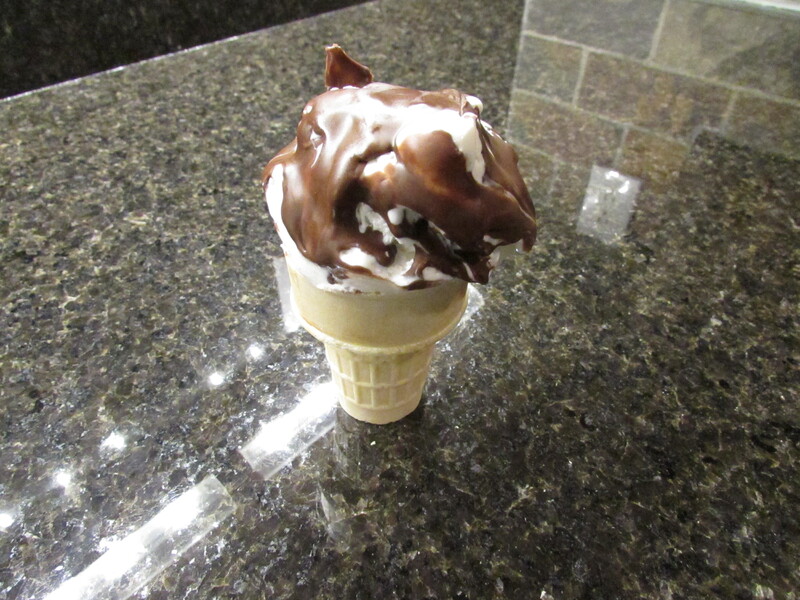 Let cone rest for a couple of minutes for chocolate to harden. Tags: cheater drumstick recipe, chocolate filled ice cream cone, chocolate topped ice cream cone, fun ice cream cone recipes. Bookmark the permalink. Great idea, it saves so much money to make ice cream cones at home yourself!